Kickstart your dental practice’s 2019 social media growth! Grow your dental practice in 2019! These free downloads will help you set goals, create engaging social media content, get more patient reviews and strengthen your team culture! With over 90% of consumers using online resources to find local businesses, it’s more important than ever for potential patients to be able to find your dental practice on social media. 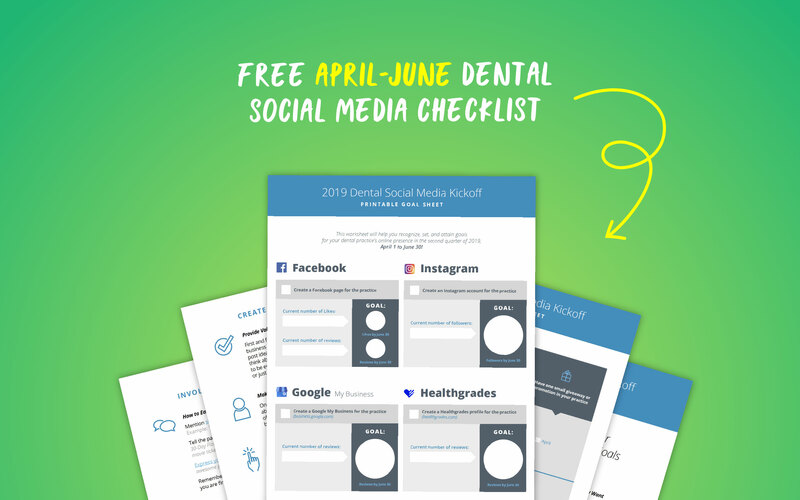 This free checklist and tip sheet will help you hit your social media goals by setting simple, effective marketing objectives for your team, and tracking your progress towards a stronger online presence for your dental practice! Simply fill out the form to download both the checklist and tip sheet absolutely free!